The current recession has focused a lot of attention on stemming the resource bleeding at corporations, but nonprofits and industry associations that operate on often much smaller budgets are also working to find their way through the downturn. Associations representing the PR industry are no exception. Often supported by members, including PR firms, and sponsors, such as service companies, leaders at several of the groups admit to feeling the pinch as some supporters reconsider their involvement. The National Black Public Relations Society (NBPRS), for example, canceled its annual conference. Wynona Redmond, president of the NBPRS, says the economy contributed to the decision because not as many members would be able to travel to the event. The group added free online webinars and regional events in its place. Adding new programs such as webinars are quickly becoming the item du jour for PR associations. The groups hope it will entice members and sponsors, while allowing the trade organizations to avoid becoming a canceled line item in someone's budget. Hispanic Public Relations Association (HPRA) president Ivette Zurita says the group is experiencing “a definite slowdown, especially in sponsors for our bigger programs,” like the annual dinner event for its awards. HPRA is working with vendors to provide more member discounts to ease economic troubles, and is planning to build up its awards program with more categories. 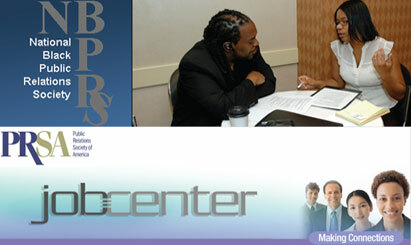 In addition to PRSA events, the organization has beefed up its Job Center and Ask the Experts section on its Web site, created a new blog, offered discounts for the professional interest sections, and produced free seminars. It also introduced a new insurance program for members, allowing them to access business, auto, and health insurance through the group. PRSA's New York City Chapter is hoping to help the recently laid off with a “Pink Slip Party.” Slated for March 26, the event would allow job seekers to network with recruiters. “We've adjusted and reframed our programs to be more relevant to... our members,” says Deborah Radman, president of the chapter and SVP and PR director for Cramer-Krasselt. While the recession can threaten their viability, many associations also see it as a unique opportunity to reconnect with members. The Council of PR Firms is showcasing how it gives back to the industry by promoting the Council Gives Back program, where PR firms and practitioners help nonprofits with communications advice, according to Council president Kathy Cripps. “If you really want to get the most out of [membership], you have to dive in... [and] be working all of these angles: social media, face-to-face connections, and volunteerism,” adds Joseph Ugalde, VP of marketing and communication for the International Association of Business Communicators. With no one knowing how long the recession will last, Murray says they are looking ahead at the PRSA.